The body uses calcium in almost every function. Calcium is used every time your muscles and nerves work to move your arm, leg or operate your heart. Your bones, joints and teeth also must maintain a certain level of calcium to stay strong and healthy. Your blood must maintain a certain level of calcium to protect your organs. The calcium from your bones will be pulled out to maintain that level in your blood if you don’t get enough in your diet. Adding a calcium complex to your diet can make it easier to stay at a healthy level so your bones don’t have to take a loss. Many foods and drinks we consume today have added ingredients, such as phosphoric acid, that deplete us of calcium. And, although they may have an added calcium, it’s most likely “calcium carbonate”, a calcium your body is unable to absorb. Just like anything else, you have to absorb it at the cell level to get any benefits from it. Eating a healthy diet of foods that have minimal or no processing will help you stay away from ingredients that could deplete you of calcium. When it came to creating a calcium formula, we wanted to get it right. There are many different kinds of calcium but which one is going to be the best? Some calcium the body is unable to break down, while others the body absorbed with ease. With years of research, we found that plants high in calcium where easiest to break down and absorb. The plant we chose was algae from the ocean. Ocean water is loaded with amazing minerals that algae absorbs. Easily add calcom to your shakes or smoothies for your daily calcium. 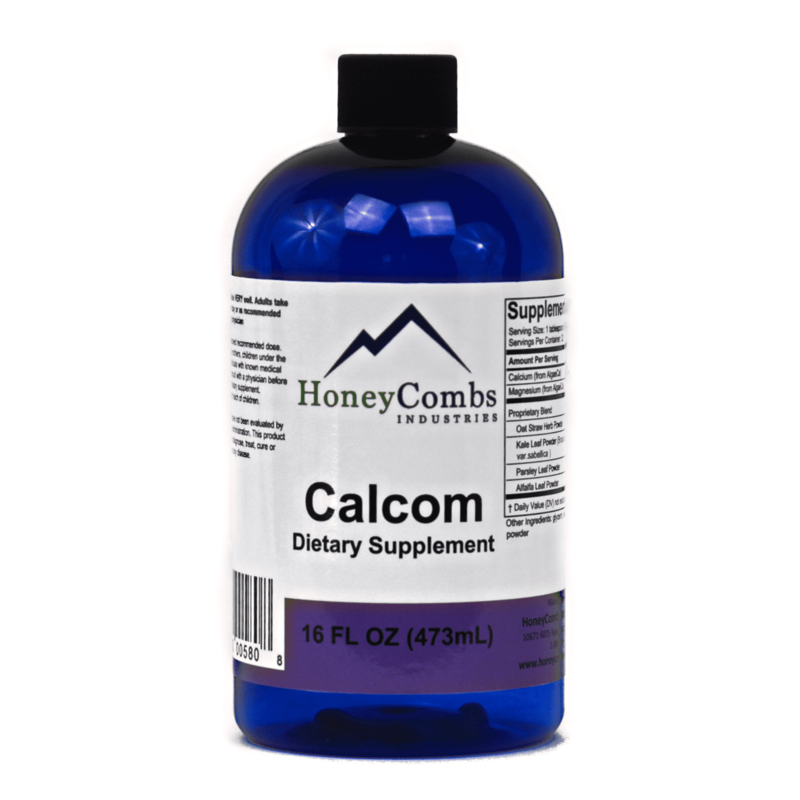 Products such as Miner complex, Vitamin D and Vitamin B12 work well with Calcom. 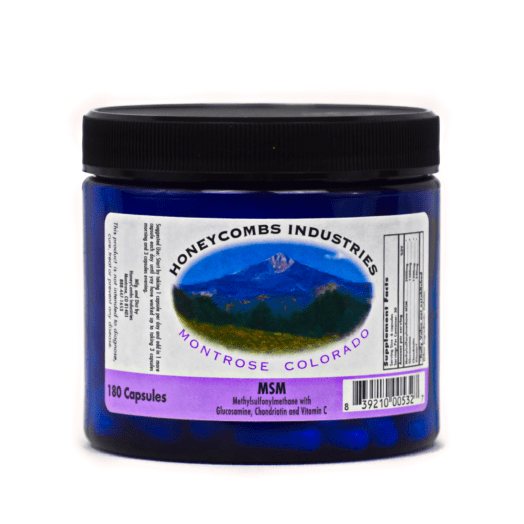 Try HoneyCombs Calcium Complex today to see the difference. Amino Acids: Alanin – 744mg, Arginine – 197mg, Aspargine – 474mg, Histidine – 52 mg, Hydroxyproline – 1052mg, Isoleucine – 120mg, Glutamine-825mg, Lysine – 28mg, Leucine – 251mg, Methionine – 60mg, Phenylalanine – 180mg, Proline – 1048mg, Serine – 278mg, Tyrosine – 81mg, Typthophan – 9.2mg, Threonine – 155mg, Valine – 205mg. *These statements have not been evaluated by the food and drug administration. 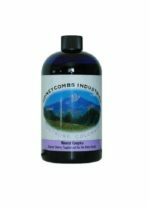 These products are not intended to treat, cure or prevent any disease. Always consult with your doctor before taking supplements for any health issues.